Civil Litigation is the area of law that helps settle disputes between individuals and organizations. Civil law regulates the behavior of people toward one another and of people toward the property of others. What Is Civil Litigation, Exactly? Civil law is sometimes referred to as “any law that is not criminal.” Unlike criminal law, where the emphasis is on punishment, in civil law the emphasis is on disputes between members of a community, including individuals, businesses and government, often resulting in monetary compensation by one person/party to the other. It is the area of law regarding disputes involving individuals and/or organizations. It generally involves an attempt to right a wrong. Civil law regulates the behavior of people toward one another and of people toward the property of others. Civil lawsuits and civil attorneys must adhere to the laws set forth by certain governing bodies. The California Code of Civil Procedure spells out the civil law rules and procedures, as do the California Rules of Court and the local Rules of Court (rules of the court where the case is filed). The actions of civil attorneys bringing about civil lawsuits are governed by these rules. In a civil lawsuit, the plaintiff and attorney bring a case for money damages against the defendant for causing damages, either physical or emotional. These lawsuits may be based on disputes between people, businesses, government and other entities. In civil cases, the question is whether the party being sued is responsible for the injuries suffered. In civil lawsuits, the parties bear the cost of litigation, although some cases may be handled on a contingency basis where the lawyer will get paid only when the case is settled. Civil attorneys have no obligation to take a case on a contingency basis. In a civil lawsuit, the civil attorneys must prove the case by a “preponderance of the evidence,” which means there is enough evidence to believe that the plaintiff’s claims are true. 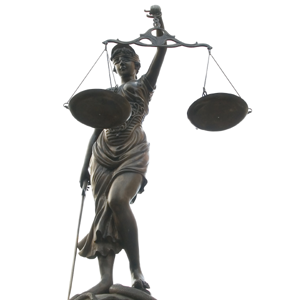 Criminal cases use the “beyond a reasonable doubt” standard, which is more difficult to prove. Additionally, criminal prosecutions require a unanimous decision by all twelve jurors, while civil lawsuits require agreement only by nine of the twelve jurors. The parties may also stipulate to a jury of less than twelve. How Do You Know When You Need to Consult with an Attorney? How do I respond if I am served with a lawsuit? How do I file a lawsuit against another person or company? Do I have a legitimate complaint and reason to file a lawsuit? Do I need to file a lawsuit right away? It is possible for a civil litigation matter to be settled by a civil attorney prior to filing a case with the court. A civil case may also settle any time prior to going to trial, and this is often a cost-effective alternative to trial. In fact, the courts want civil cases to settle whenever possible, because it costs time and money to take a case to trial. Also, the courts couldn’t handle the volume of cases if every case had to go to trial. Mediation or arbitration are other processes for settling a civil lawsuit. In mediation, a trained neutral mediator will help to guide the parties toward settlement. The parties select the mediator, who meets privately with each side to discuss both the strengths and weaknesses of the case. The mediator helps the parties identify the risks of going to trial. The mediator does not have the power to force the parties to agree on a settlement, but many civil cases do settle through this process. In arbitration, the parties present evidence, and the civil attorney argues the case to the arbitrator, who then decides which party wins. The process is less formal than a trial. The arbitrator will act like a judge and hear the case and render a decision based on the evidence. Arbitration may be binding or nonbinding. A civil case is commenced when it is filed with the court and the appropriate filing fees are paid. The Court will generally issue a 30-day summons, and both the summons and complaint will be served upon the defendant. The defendant has 30 days from the day he/she is served to file a response with the court. An answer is a written document in which a defendant admits or denies the allegations in the plaintiff’s complaint and states the reasons why they should not be held liable. It is important that the answer contain the appropriate language; therefore, it is wise to consult a civil attorney. The defendant may file what is called a demurrer, stating that the allegations in the lawsuit are not legally sufficient for the plaintiff to sue them. The defendant may also file other motions, such as a motion to transfer the civil lawsuit to a new venue or location, or a motion to quash, alleging improper service of the summons and complaint. By filing an answer/ response, the party being sued defends themselves by telling the court that they disagree with, or contest, the allegations stated in the complaint. It is important to carefully read the summons because some cases have very short deadlines. For example, in an eviction (aka unlawful detainer), the defendant generally has a five-day deadline to respond. The summons will also contain information about the court where the lawsuit is filed. For help in filing an answer/response, it is important to contact the civil law attorney right away since the lawyer will need time to adequately prepare a timely response. If the defendant fails to respond, the plaintiff may file a request for default judgment with the court, meaning the defendant will not have the chance to present his/her side of the case. It is wise to consult a civil attorney to be sure the correct paperwork for this type of judgment is submitted. Although some cases are eligible for judgment to be entered by the clerk’s office, this is not true of all civil cases; some defaulted cases must go before the court before judgment may be entered. The plaintiff or civil law lawyer will have to present evidence to the court, the Court will consider the evidence, and then the Court will enter a judgment. Even before getting to trial, there are many steps that must be taken, including discovery that may last for several months and up to the time of trial. Discovery is a process where the parties will gather relevant information about the facts and issues involved in the case, either from one another or from other parties. This process is where the civil law attorneys will exchange disclosure statements, including the facts of the case, the list of experts expected to testify and the list of witnesses that the lawyers expect to call during the trial, among other things. The parties may be requested to answer interrogatories, which are written questions that will be answered under oath. This discovery process will also involve the exchange of documents such as insurance policies, accident reports, written contracts, rental agreements and more. There may be requests for independent examinations by medical or psychological experts. Depositions may be required where the parties will testify under oath with a reporter present. They will answer questions about the case, general health, work and education. The civil law attorney or lawyer representing the clients will be present and object to any inappropriate questions or ask for clarification as to why certain questions are asked. Pretrial motions involve paperwork filed with the court requesting a hearing to settle certain issues prior to the case going to trial. These motions could limit questioning or witnesses at the trial; object to something that occurred prior to trial, such as the failure of one side to disclose certain information that was later discovered; or may even be a request to dismiss a case due to lack of sufficient evidence or proof of liability. A motion for summary judgment may be filed asking the court to dismiss part or all of the claims of the plaintiff(s)/defendant(s) and enter a judgment without a trial. Expert witnesses often need to be hired to testify at trial to present technical facts or to validate the allegations or the position taken by either the plaintiff(s) or defendant(s). One or more experts might be called to testify and to help determine the appropriate amount of damages. Expert witnesses work closely with civil law attorneys in preparing the case for trial. The trial process requires expertise in the law and knowledge of trial procedures, which is why a civil law lawyer is recommended to clients. A trial may be by court, meaning the judge will decide the outcome of the case, or by jury, which means the jury will hear the evidence and make a decision on the facts as to which party is at fault and how much money must be paid. The person who requests the jury generally pays for it unless there is some agreement to split the costs. A court reporter may be requested to take down the exact words of each person in court. All of these people and/or processes cost a lot of money, which is why so many cases settle prior to trial. Additionally, it could take up to two years for a case to get to the trial phase, while the parties are experiencing mounting bills that need to be paid, and perhaps they are out of work without pay. Disclaimer: The information on this page is to aid your general understanding of general law issues and terms. This information does not constitute legal advice and should not be depended upon for that purpose. Laws are constantly changing and may at any time render the information found here invalid, so you will want to do further research on your own. For legal advice, consult an attorney. If you need a referral to an attorney, contact the SDCBA’s Lawyer Referral and Information Service at www.sdcba.org/ineedalawyer. Issues with your attorney's bill?